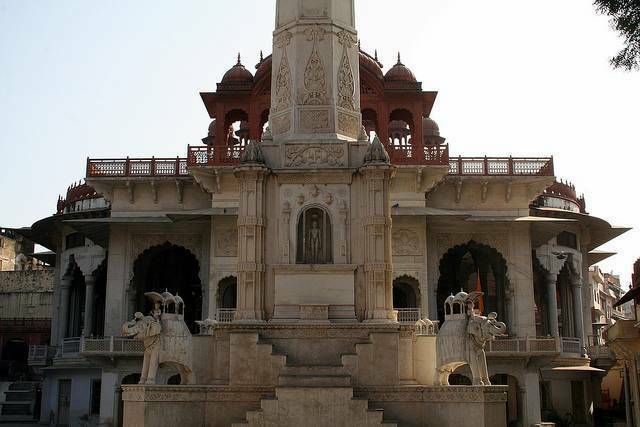 Jain Glass Temple is situated behind the Kamla Tower in Nagaur town of Rajasthan. As the name suggests, the whole temple is made of glass, and it is a unique shrine among all the Jain temples. The ceilings, floors, panels, pillars and doors of the shrine are adorned with beautiful enamel works. The glass works inside the temple represents the ancient art in the form of the Jain scriptures. The interiors of the temple are adorned with ornamental arches and beautiful marble works. The temple houses different figures of Lord Mahavira and other 23 Jain Tirthankaras.